Hear the hammer of the blacksmith and watch as blacksmiths from the Pittsburgh Area Artists Blacksmith Association set up shop on the museum grounds. 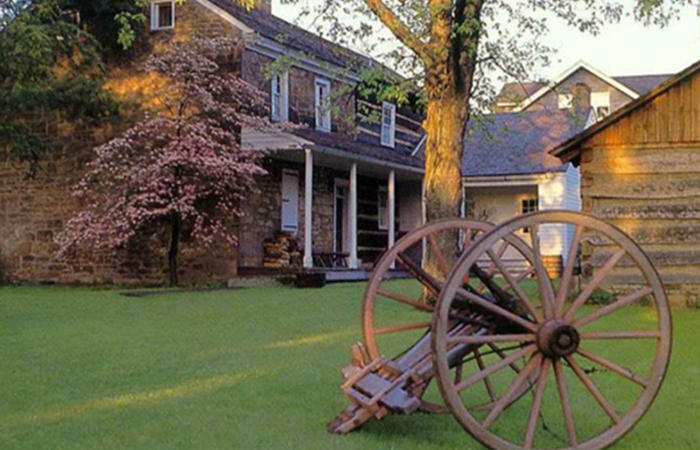 Bring the whole family and enjoy a guided kid-friendly tour of our restored stagecoach stop and participate in early 19th century games, demonstrations and activities. Don’t miss Todd “Ghost-in-the-Head” Johnson, as he demonstrates early Native American skills. Visit with Goodwife Melissa Clark as she begins her life on the frontier in the early 1800s. Guided tours by costumed docents of Compass Inn Museum will also be offered. All activities are free with purchase of regular admission.